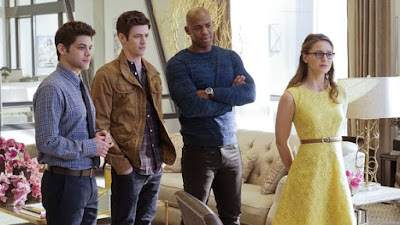 The Supergirl and Flash crossover had some pretty great moments and I hope it happens again. calories a day just to stay thin. That's a superpower with some kick to it. I love the expression on Supergirl's face when she realizes that she has ice cream. But there's no way Barry paid for it so there is that issue...Barry you thief! Unless of course he just left a $20 and was like "keep the change." But there were so many great moments from the crossover. Seriously. And the best line of the night went to Cat Grant who kinda/sorta had a Deadpool-esque "break the fourth wall moment" when she commented that the cast of characters before her looked like the youth-obsessed, attractive, and racially diverse cast of a CW show. Oh my. nailed it. But then again, she is the CEO of a large company. And then there was the fact that the Flash just loves that Kara is an alien. He wants her to take a picture of him standing in front of her spaceship, which is in this top secret government facility devoted to "very serious things." How can someone not love an episode that is poking fun at itself so intently? I hope that CBS decides to renew Supergirl. It's had a pretty strong and convincing first season. As of this writing, there's been no word yet. The only thing I didn't like about the crossover was that it took place on a different Earth that Barry just happened to pop into. That makes it seem like crossovers might be harder. I would have liked them to be in the same universe. But hey, maybe if Supergirl gets canceled on CBS it could get picked up by the CW. That would be kinda fun, and they could fix the alternate universe stuff and start building a CW version of the Justice League. Now all they'd need is a t.v. version of Wonder Woman. I suppose they could go with "Wonder Girl" since all of these shows take place pre- "Crisis on the Infinite Earths." For what it's worth, I thought Wonder Girl was cooler than Wonder Woman in many ways (when she was with the Teen Titans). Say what you will about Batman v Superman. Wonder Woman's entrance was the best of any character since Darth Maul lit up a double-bladed lightsaber. Warning: there may be some spoilers in this post. Last week I saw Batman v Superman: Dawn of Justice, and I'm actually going to say that I loved it despite the fact that all the critical reviews were terrible. I think my passion for it has to do with the way Zach Snyder films/portrays superhero action. Disclaimer: I love to watch really powerful heroes and villains slug it out on screen. It's fun, and Zach Snyder uses odd camera angles (to put the viewer in the action) and the clever use of computer graphics makes it look like the punches and sword swings really have a lot of power to them (as opposed to the silly wire work present in CBS's Supergirl). Also, Wonder Woman's entrance (when she saved the Batman from Doomsday's face beam of death by blocking it with her magical bracers) was the best entrance since Darth Maul was introduced to audiences in The Phantom Menace. And yes! for Batman v Superman embracing Kingdom Come Wonder Woman. In that comic book (drawn by Alex Ross) Wonder Woman has the sword of Hephaestus (because it's magical it can actually cut Superman) and wings (along with her normal gear). 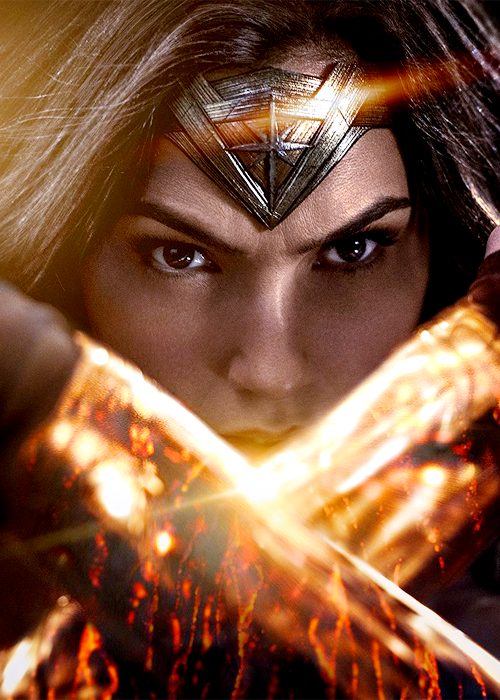 Plus kudos to Zach Snyder for really capturing how powerful Wonder Woman's magic lasso is, i.e., it's unbreakable. And her having Doomsday in it was nothing less than spectacular. thinking about how he's going to destroy all his enemies. go all computer graphics on him with a voice over. Another thing that I loved about the movie was that it is the first time that a movie starring either Batman or Superman went "big" and decided to embrace the DC universe at large. I'm excited at the prospect of the Justice League now, fighting hand-in-hand against Darkseid (who was foreshadowed to be on his way in the "dream sequence" when Bruce Wayne saw a post-apocalyptic desert emblazoned with the Omega symbol). Darkseid is basically DC's version of Galactus or Thanos. He's a merciless dictator from a world named Apokolips, and is the leader of a group of evil gods. Darkseid is on a quest for the Anti-Life Equation, which can rob all sentient beings of free will. Additionally, the winged creatures you see in the vision that Batman has are called "parademons" and they're Darkseid's minions. source of many a nerdgasm back in the day. 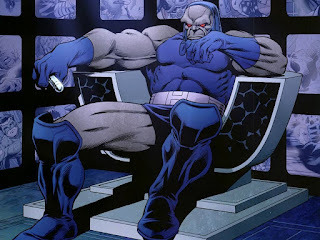 Darkseid is a great bad guy to use because he's so powerful. Let's face it, when you have heroes with the kind of strengths that Wonder Woman, Superman, and the Flash bring to the table, you've got to have bad guys that can handle all of that. One of my favorite stories from comic book history was actually a crossover of DC and Marvel where the Justice League and the Avengers went up against Darkseid (yeah he's that powerful). 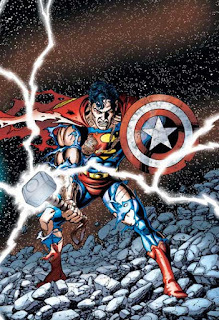 In one scene, Superman ended up using Captain America's shield and Thor's Hammer. At the time, that was an epic nerdgasm. Seriously. I admire comic book world building, and I think I understand it in this way: first you build this really powerful character. Next, you go about finding ways for that character to be challenged in the universe in which it lives. It's actually basic and simple but leads to a lot of interesting things when (as a writer) you start answering questions. For example, you might ask: how did so and so get his powers? And the answer essentially leads to world-building. In some ways, I do the same thing in my writing by starting out with a character that I personally find compelling (and who has interesting powers) and then set about building a universe for that character to inhabit. Before long, stories emerge and voila: world-building 101. For you writers out there, do you have any tips on world-building that you'd care to share in the comics? Did any of you out there actually like Batman v. Superman? I know most people gave it bad reviews even if it did manage to demolish the box office this weekend. But who knows, comic book movies never have been strong on critical review. 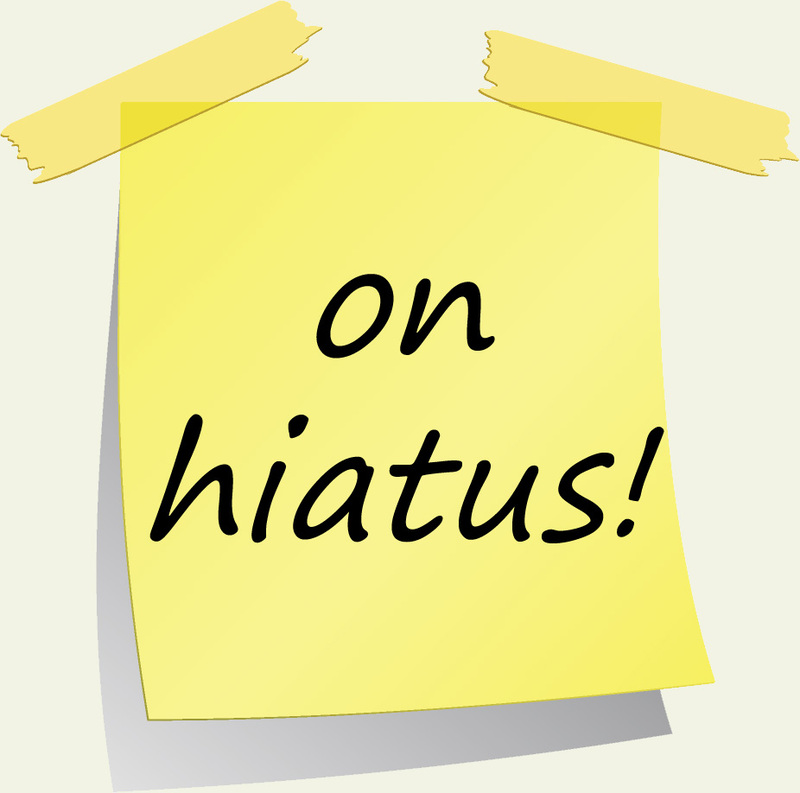 I'm on hiatus until next Monday March 28th so I'll see you then. 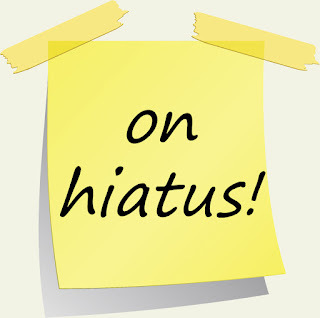 I'll be back next Monday, March 28th. Have a Happy Easter. I can't wait to talk to you about Batman v. Superman. There is eleven minutes of footage available from Batman V. Superman, which comes out next week. When I saw this supercut that someone put together from all the trailers, promos, etc. that have been released, I just had to watch it. I think it's pretty incredible that they've released essentially 10% of the film already. And as of yesterday, there's even more available. Anyway, if you're looking forward to the movie, you may want to watch all of this. There's stuff I hadn't seen for sure. 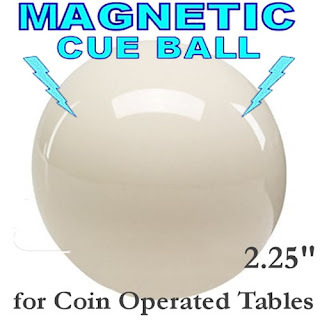 I bet you didn't know that the cue balls in the billiards halls of America are magnetic. I enjoy a game of pool at one of the coin-operated pool tables in a bar or billiards hall just like the next guy. I just haven't had much opportunity to play with anyone in a few years as most of my friends actually don't live in Salt Lake City, and those that do don't like to hang out at billiards halls. My last trip to a billiards hall was a really strange one. I went with my friend Dylan and we were staying in Boise, Idaho with his dad. Bored, we went into town to play pool. It got late and being young guys we didn't really want to just go back home. So we saw this girl scraping her window out in the parking lot and she was parked next to our car. I asked her real nice if she knew of any place we could go that might still be open that had pool tables. Out of the blue this car pulled up blocking my car from being able to back up. The doors popped open, and four guys with tattoos, spiked hair, chains (I saw a baseball bat too) hopped out and they asked the girl, "Are these two guys botherin' you, Wendy?" At that point I knew I needed to be very careful about what I said. Anyway, she said that we were just looking for information and they settled down and then we went on our way. But I never forgot that situation. How on a flick of a switch things can go wrong, and it doesn't matter if you are "right" or "wrong" because no one cares. I call that the "hidden pockets of civilized society" where we all live under this illusion that the law protects us but in fact, violence can occur in a matter of seconds and oftentimes you will be on your own. So back to the "magnetic cue ball" thing. I always assumed that maybe the cue ball was a slightly different size or weight, but never bothered to follow-up on it. Then last night I saw this amazing video that does a breakdown of exactly how a cue ball always comes back to you when the other colored balls stay sunk. How you might ask? In one word: magnets. 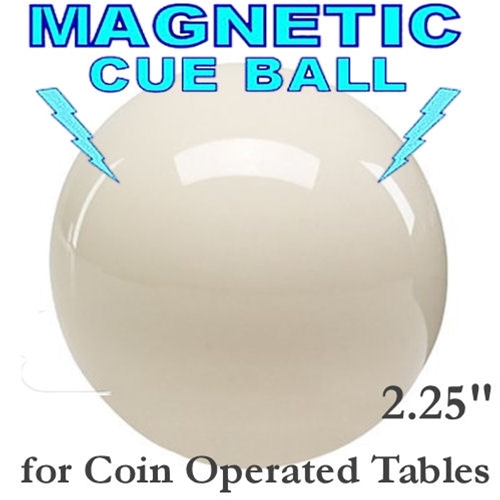 The cue ball has a thin layer of iron in it just below the white surface, and a strong magnet in the machine pulls it to one side so that it avoids the ramp that channels all the other balls into the storage box. And that's not the only secret in this video. Watch and learn, friends. There is good and bad out there and we all know it's out there but no one can tell the difference between them. As writers, we know that one of the rules we need to follow is brevity. The industry as a whole pounds this topic. Keep things brief. Whittle down everything so that there's only the best content for the readers. It all makes sense if you think about it. No one wants things to drag on forever, and no one wants a story that never ends, right? So write a story that is brief, unless you don't write a story that is brief, and everyone loves a story that never ends. Wait, what? Why do we have stories that never end in a world that says this is exactly what you shouldn't do and is basically the reason why authors need editors? Unless of course, chopping content is a meaningless exercise, and there are people that actually want demand that content. I guess the trouble is finding out who wants that content, and those who don't are just part of the problem because they probably didn't like the story anyway. There are so many examples of this. Brandon Sanderson's new book is so huge that he expressed worry on social media that if it got too much bigger the publisher might break it into two books. Of course fans were like, "we want it to be endless...." It makes me shake my head, and then I realize how much endless content there is that I consume. Heck, why do I even want something that I love to end? Would anyone choose to end a romance with a paramour? Nope. 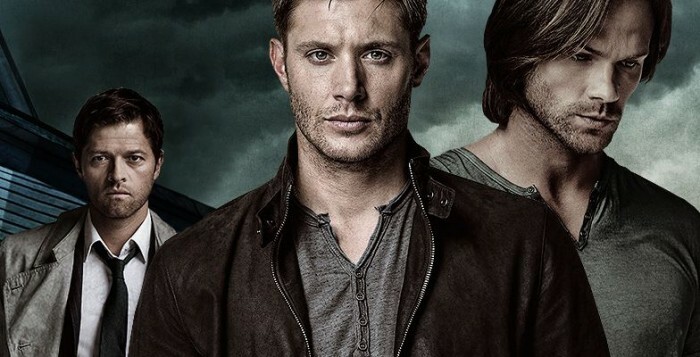 Supernatural on the CW is getting renewed for its twelfth season, when the story really ended with season five. 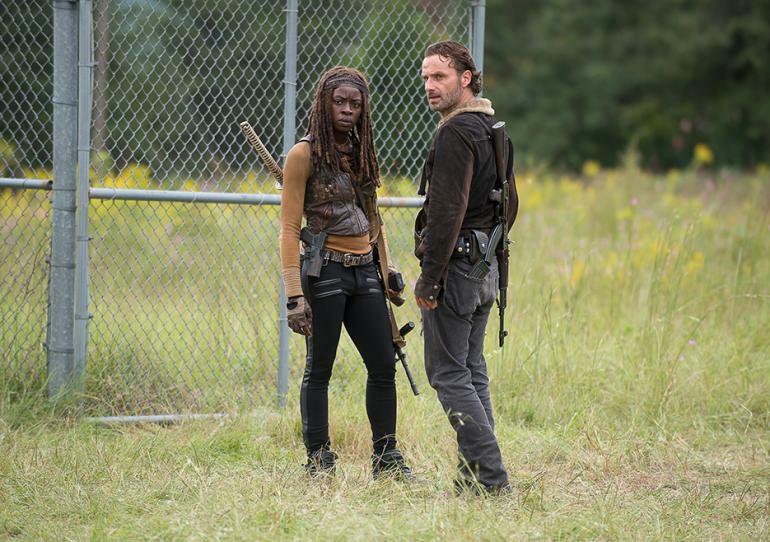 The Walking Dead is probably endless, but at least they've got a way to keep the story fresh by killing off and replacing the cast with new ones (and they keep coming up with more story that somehow manages to be more shocking than anything you've seen before). Then there's The Simpsons, and I have no idea what season they are on. Same for South Park. 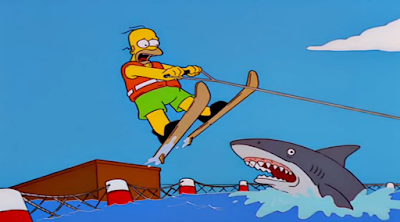 Does "Jumping the Shark" actually matter? For some stories, apparently not. George R.R. Martin originally intended his fantasy, The Song of Ice and Fire, to only be a trilogy. We know how that worked out. And let's face it, Piers Anthony with his endless Xanth novels and Laurell K. Hamilton with her Anita Blake series have no end in sight. All of this goes into my brain and makes me think that (as writers) we only really need to pare down our words if we have no readers. Once people get to liking what you write, then you can just keep churning out stuff and they'll just keep consuming. That's the way people are. We latch onto things we like and keep going back. So maybe writers should just remember that you only need to keep track of word count if no one reads your work because no one is interested in what you have to say. But once you get people who are interested in your characters and story, you can just write and write and write and it doesn't seem to matter. J.K. Rowling knows this first hand. She could write Harry Potter stuff until the end of time and none of it would matter. So in a way, ending things has nothing to do with a fan base and everything to do with an author. Maybe what I'm talking about here is "integrity" versus "selling out." Integrity means you stop when you're done with a story even if it's super popular. An example is "Breaking Bad." Selling out is when you realize that you've created a money-printing franchise that people are interested in, and you just keep churning out material to get a paycheck. I suppose in the end I'm just interested in the phenomenon itself. That is, I'd like an answer as to why it's okay if some stories never have an ending and why there are so many people who tell you exactly the opposite. I suppose there isn't a good answer unless you accept the fact that people have a hard time figuring out what's actually good. Maybe that's the problem. There is "good" and "bad" out there, and we all know it's out there, but no one can tell the difference between them. I saw 10 Cloverfield Lane last night and I left the movie with more questions than answers. I saw 10 Cloverfield Lane last night, and I left the movie with more questions than answers. As a movie, it's a rather brilliant gem, and it probably didn't cost very much to make. The cast is super small, which probably went a long ways toward keeping production cost down. And there were several moments when I felt the director was borrowing heavily from a story called "Wool" by Hugh Howey. It plays very effectively on the whole "apocalypse" theme and uses psychological terror to keep the audience engaged with the characters. So why does the movie leave me unsatisfied, and does that mean I'd want to see another. Perhaps a sequel? Yes it does. It's the same kind of trick that writers use when they "cliffhang" things, and I think that (in particular) I'm very susceptible to this kind of storytelling. I wonder if this is the same kind of fascination that the public has with serial killers. I mean...a lot of serial killers don't ever have a motive which is why it's so hard to track them down. And that has made for a lot of good stories about them. It's this whole fascination that us humans have to desiring answers to questions that will never materialize. It almost seems cruel that a writer or a director would make a film that results in the same lack of answers, but at the same time it's obviously effective at making people come back and pay for more. I suppose life is about getting answers to questions we have. And the questions that never get answers bother us so much that we make up solutions until something else comes along that actually solves the question. We are odd creatures, humans. And J.J. Abrams knows exactly how to troll us all, not that I'm complaining. Okay, yes I'm complaining. I want some answers dammit! 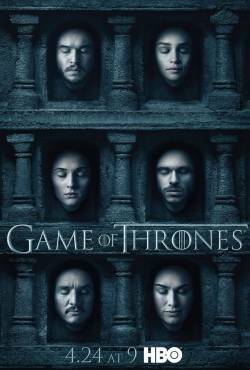 The new trailer for Game of Thrones season 6 is out (and I included it below). In it everyone looks distraught. Bran looks terrified of the Night's King but at least he's got his legs! Melisandre looks lost (poor, poor Red Priestess of R'hllor). John Snow looks dead and Daenerys looks a lot like a captured slave again marching her way to Vaes Dothrak. Oh and Cersei? Well she just looks defiant with an unkillable monster as a bodyguard. I'm sure everything will work out in the end though, right? Not Tomorrow Yet makes it easy to call The Walking Dead the most brutal show that has ever aired on television. Spoiler Alert: I am talking about Sunday night's The Walking Dead episode called "Not Tomorrow Yet." Has there ever been a show on television as brutal as The Walking Dead? I'm so thankful for "Talking Dead" because, after watching a show like "Not Tomorrow Yet," I feel like I need to decompress. The brutal slaughtering of people that they didn't even know reached new levels of emotional shock for me than I had anticipated. And yeah, I did know it was coming, but it just seemed far more horrible outside of a comic book and splashed all over the screen (in one scene blood spray stuck to the camera lens in a kind of "Deadpool-esque" break the Fourth Wall moment). So last night we saw Rick's group of warriors go up against what I think is a small contingent of "The Saviors" who probably have a much larger and stronger army. This was a kind of "outpost," but the killing is definitely stirring up a hornet's nest that will lead to all out war. And the reasoning behind the attack was very logical: it's us or them. To some extent, it's a reflection of modern politics with fear spreading through a population and more and more people raising their voices in a chorus demanding radical action to guarantee safety. to be seeing it next week with that gut-wrenching ending of last night's episode. 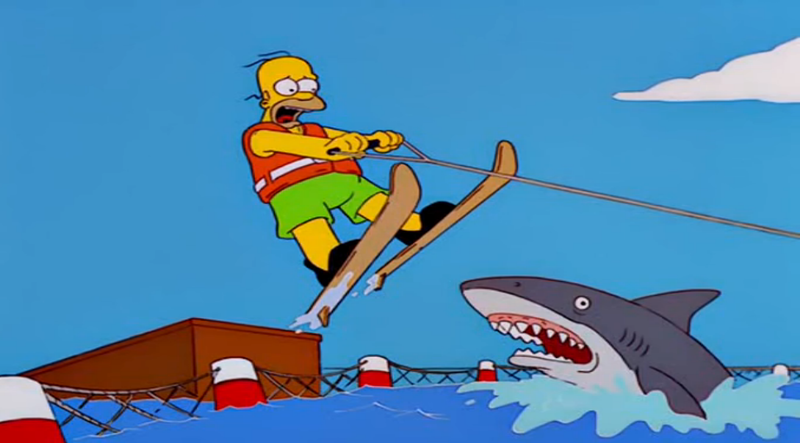 This episode was a dramatic shift in the narrative of The Walking Dead. Instead of being defenders, Rick's group moved into the position of being the predator at the watering hole. 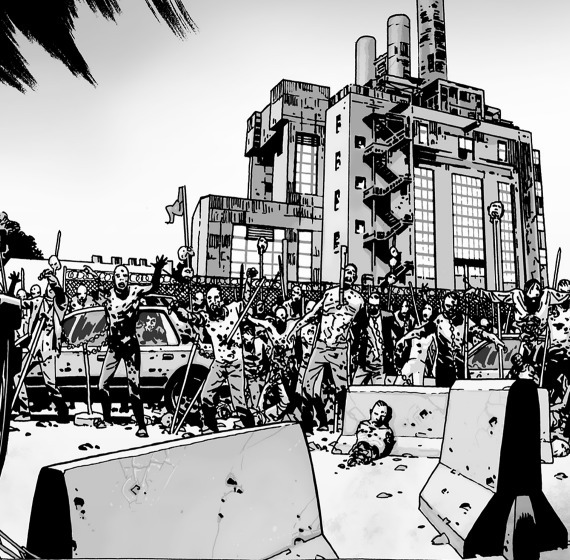 I suppose the transition has been a long time coming with Rick's crew trying to avoid violence whenever possible. It reminds me of a quote I heard one time that went something like this: "Hostility and violence doesn't solve anything. It solves everything." If you lived in a post-apocalyptic world with zombies and knew that a violent group was out there that would come and take all of your resources and perhaps harm or even kill people in your community, could you take on the role of an assassin and strike them first? I'm glad we don't live in a world like that...yet. And I hope we never will. I love animated films and was really looking forward to seeing Zootopia even before it smashed all records on Rotten Tomatoes ever by nailing a 100% Fresh rating spread out over 93 separate reviews (and counting). But once I learned this astounding fact (as I lethargically checked what was in the theaters this weekend) I absolutely had to go and see it. So watched it I did. I haven't felt this good coming out of an animated film since How to Train Your Dragon 2, or perhaps the Pixar era of hit after hit after hit. And it's so timely. I don't want to spoil any of the message that this film carries, but it's really awesome and guys you should go see this movie. Seriously. 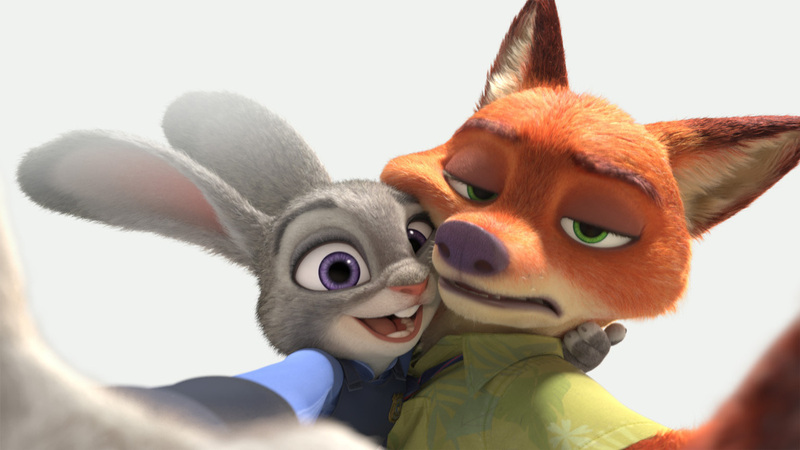 Zootopia is frickin' fantastic and unless your heart is two-sizes too small, it will touch you just like Toy Story 3 touched you. Just let the feels in...you know you want to. Sharing your work with other writers is a scary step. But it's also an incredibly rewarding one. Nothing created is meant to exist in a vacuum, and that goes for words. Words are meant to be read, met to be ingested and interpreted, because humans (the font of words) are social creatures seeking connection to each other. And it can be an amazing feeling to get feedback (which is a kind of reward system for the brain). It feels good, and this in turn can urge you to repeat the process to get better and better at your craft. Hopefully, writers will be supportive and encouraging. But sometimes they're not. That's just the way writers are. But I haven't yet run into a writer that wouldn't answer questions like: 1) what do you think is working well, and 2) what could I improve, and 3) is the point of view working, and 4) are the characters and story compelling enough for you to want to know more? Sure, every single one of us wants to hear the words, "This is perfect and amazing and don't change a thing." But I've never known that kind of compliment to come bubbling from anyone's lips. Part of that has to do with the fact that people use critique to sound intelligent about a topic. It's why a job where you get paid will never net you a flawless performance review: there's always something that can be improved, even if it is made up. Being comfortable with yourself is almost impossible unless you're a Buddhist monk. So rather than overcome insecurity, I think it's important to realize that when you are feeling insecure it means that this is an opportunity for you to take a leap. In other words, life is asking you to take a risk (or to gamble at something). And just like gambling, there's usually a reward to go along with it. I used to think there were examples of terrible writing and examples of great writing. But now, I'd like to revise those terms. There is popular writing and unpopular writing and a thousand shades of gray in-between. Unpopular writing still has an audience. There are people out there who will just love it and think it is the best thing ever because it creates some kind of emotional reaction in them. Popular writing just has a bigger audience...more people are apt to be connected to it in some way. But writing doesn't have to be "excellent" to be popular. I think this year's republican primary shows this particular idea in spades. Anyway, learning to share your work with other writers is an important first step to overcoming insecurities. 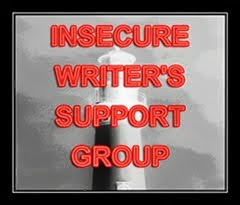 I thought I'd talk about that for today's Insecure Writer's Support Group post and wish you well on your writing journey.